If you’re making a mental note on what should be included on your fall maintenance checklist, then mark down a seasonal furnace tune-up as a top priority. 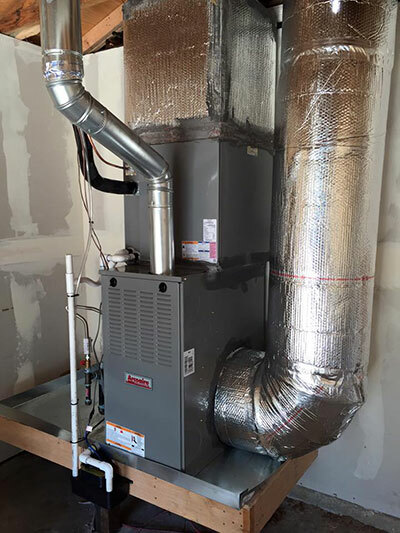 Your furnace is a big player in keeping you comfortable, safe, and toasty warm during the cold fall and winter seasons, and you definitely don’t want it to quit on you when you need it most. Irish heating and Air provides you with professional fall furnace tune-ups that guarantee your heater is in the best shape to take on a heavy winter workload. You won’t be disappointed in our 20-point furnace inspection, and your heater will never work better than when we’re through. Sign up for a 5 year HVAC maintenance plan today and receive a FREE smart WiFi thermostat. Call or contact today to learn more. Check for leaks or moisture. Check for excessive wear and tear. Complete lubrication of all moving parts. Air filter replacement and inspection. Check and tighten electrical connections. Clean outside surface of unit. Ensure unit is in compliance with manufacturer recommendations. Seasonal maintenance for your heater might seem like just another gimmick that someone is trying to sell you – but it’s far from it. By allowing our technicians to inspect your furnace and perform a tune-up, you’re allowing us to maintain the longevity of your heating system and prolong its lifespan. We’ll perform procedures and checks that will catch issues before they turn into emergency repairs, so you’ll be able to keep your unit running for less. 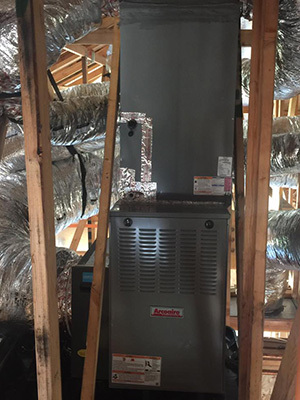 We will also clean out your unit and ensure the best possible airflow during our furnace maintenance check-ups, so your unit will run at peak efficiency. So why are furnace tune-ups right for you? Because they’ll make your furnace run better, break down less, and save you cash. There’s no better reason than that.